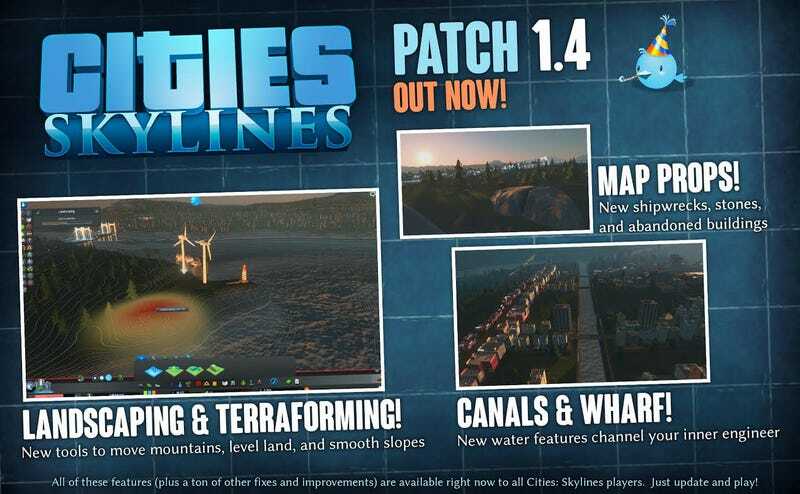 Cities: Skylines gets terraforming in a new patch, as well as some additional map features. Cities: Skylines gets terraforming in a new patch, as well as some additional map features. Check out the full patch notes here.